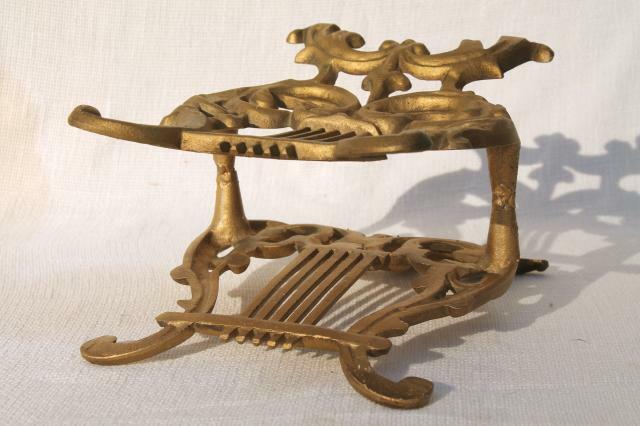 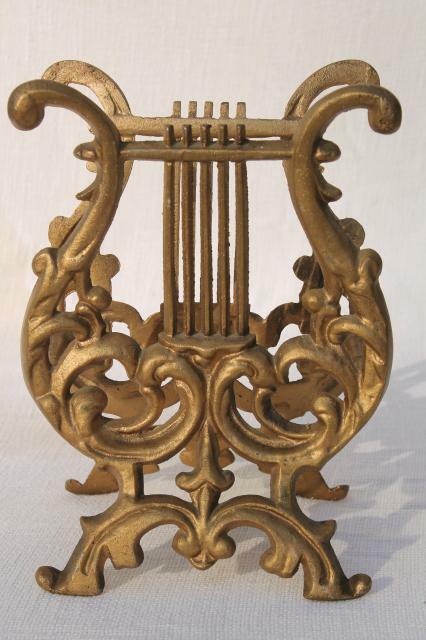 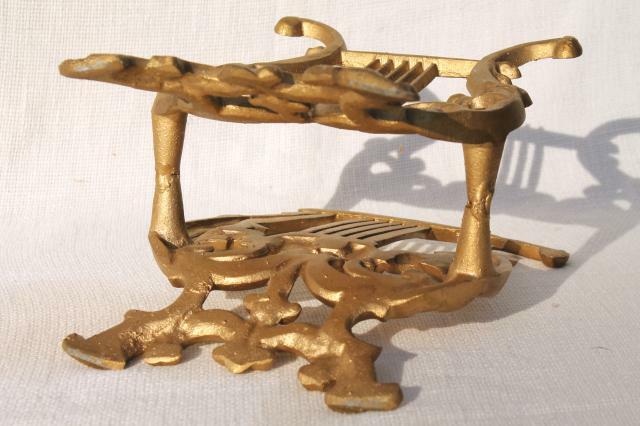 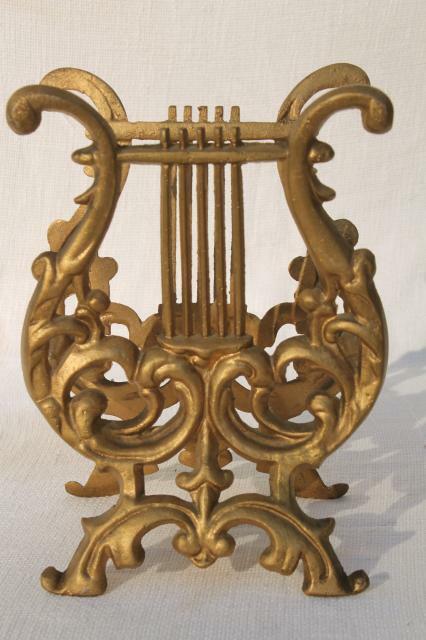 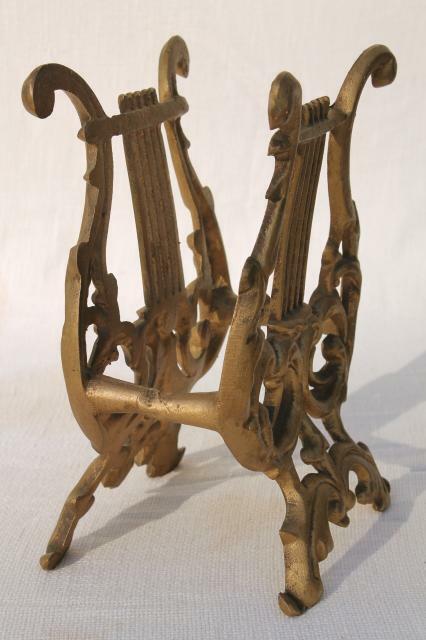 Beautiful cast metal music stand or rack to hold magazines and newspapers... this is unmarked, probably made in Japan. 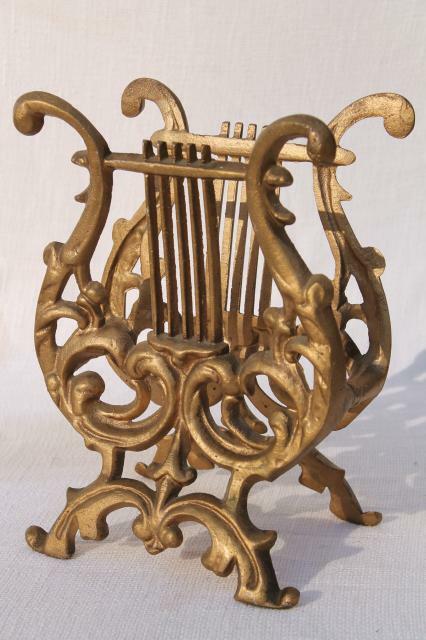 It measures about 11" x 8" x 6", and is a lightweight spelter or cast aluminum. 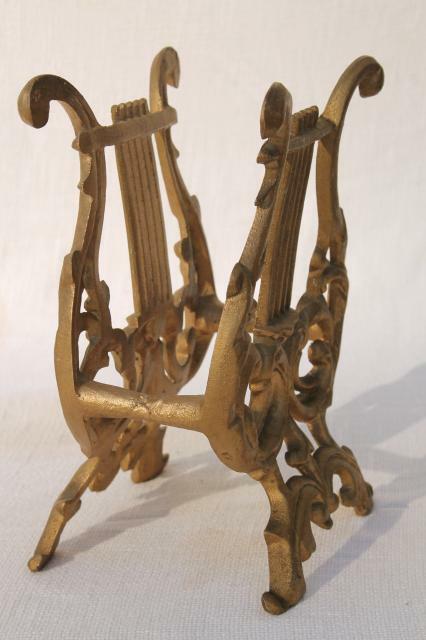 There's a little wear to the antique gold finish, which we like!